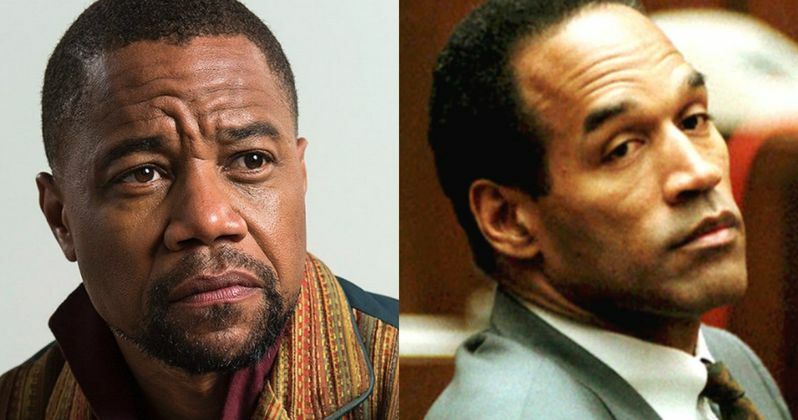 Just two months after FX issued a straight-to-series order for the American Horror Story spin-off American Crime Story, the series has cast Cuba Gooding Jr. as O.J. Simpson and Sarah Paulson as prosecutor Marcia Clark. The first installment of this crime anthology mini-series will center on O.J. Simpson's murder trial which captivated the nation in the early 1990s. Subsequent seasons will each tackle a different true crime story. The first season, American Crime Story: The People v. O.J. Simpson, will be told from the lawyers' perspectives, giving viewers a glimpse at behind-the-scenes dealings while showing how a number of factors, including the L.A.P.D. 's history with the Los Angeles black community, the prosecution's over-confidence and wily tactics by the defense lead the jury to acquit O.J. Simpson on murder charges. Scott Alexander and Larry Karaszewski will write the first two hours of the mini-series, with Ryan Murphy set to direct. The project was first set up as an event series on Fox before it was shaped into the first season of this anthology series. Ryan Murphy is also executive producing alongside Scott Alexander, Larry Karaszewski, Brad Falchuk, Nina Jacobson, Brad Simpson and Dante Di Loreto. Production will begin early next year in Los Angeles. Cuba Gooding Jr. will next be seen in the awards season candidate Selma, and he most recently starred in Lee Daniels' the Butler, Don Jon and Machete Kills. Sarah Paulson currently stars in Ryan Murphy's American Horror Story: Freak Show.